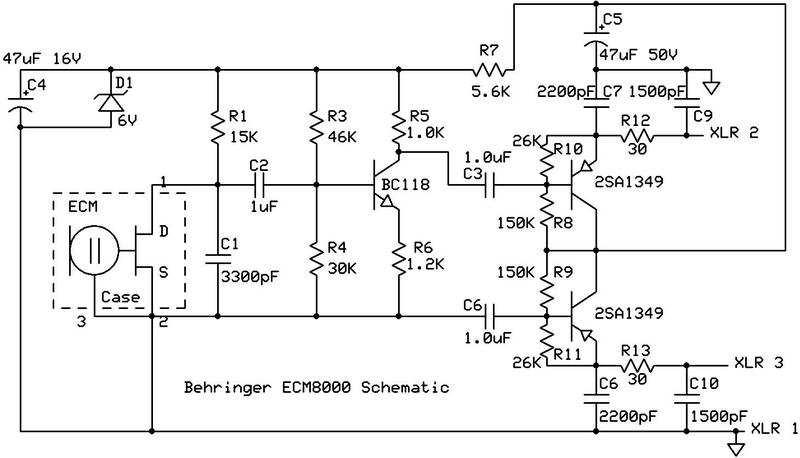 ECM8000 Behringer schematic. Note no HV bias supply for the condenser capsule. Dual PNP transistors in output to extract phantom 48Volts.